Diana Wallis Taylor’s novel, Claudia, Wife of Pontius Pilate, tells the story of a woman who becomes the wife of the governor of Judea, the man who condemns Jesus to death. Claudia, granddaughter of a Roman emperor, lives a simple life with her banished mother in a villa outside of Rome. Her life takes a different turn when she is summoned to the palace where power hungry officials indulge in intrigue and betrayal. After marrying Lucius Pontius Pilate, she moves to Judea, where her husband has his hands full in governing the Jews. Unlike her husband, Claudia shows interest in the people’s life and religion. Her dreams of having a happy family life, far away from Rome, prove to be elusive and things get out of hand when Jesus starts preaching against the practices of the Jewish priests. 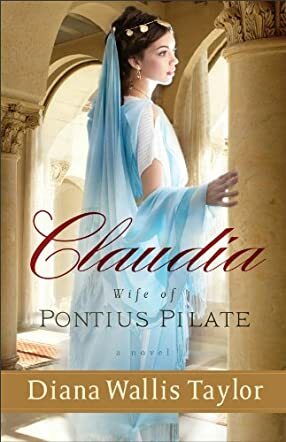 Claudia, Wife of Pontius Pilate, is a historical fiction that follows the journey of a woman who is only fleetingly mentioned in one of the accounts of the gospels. In this novel, author Diana Wallis Taylor tries to reconstruct the life of one of history’s least known figures, who happens to be the wife of the controversial Pontius Pilate. In doing so, readers can get a glimpse of the events that led to the crucifixion of Jesus from a different point of view. Claudia lives during a time when events will change the course of human history and that makes her story quite interesting. It is clearly the author’s intention to focus on her life and I believe this is an achievement, considering the many twists and turns of the era. In the end, we get to know her innermost feelings as she faces her destiny. It is a story that is absolutely worth the telling.